These sterling silver cross earrings have a satin finish with assorted stamping designs. They measure approximately 1 7/8" long including silver plated french wire by 3/4" wide. 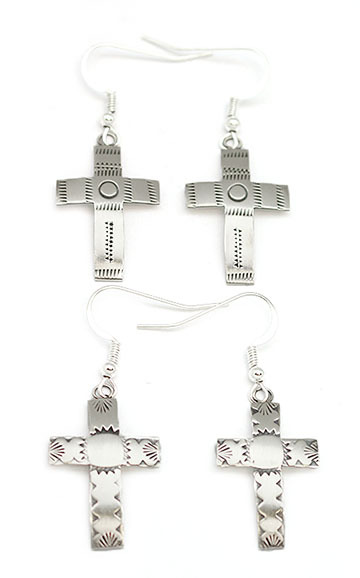 Crafted by Navajo artisan Irvin Gene. Stamping will vary. Pictured in two different designs. Each pair sold seperate. You may not get the design that is pictured.